It's just not fair! No matter what a mess she makes, nobody ever gets mad at Witch Baby. 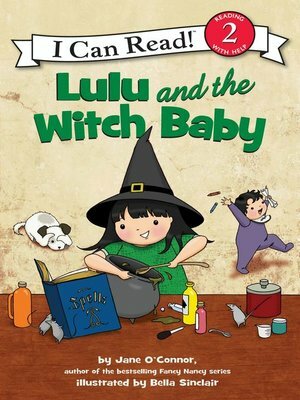 Nobody except Lulu Witch, who cooks a magic brew that makes her baby sister disappear. But then she begins to worry that Mama Witch will get mad—very mad. Can Lulu wish Witch Baby back? Beginning readers will love this beautifully repackaged thirty-two-page edition of the classic tale from Fancy Nancy author Jane O'Connor about children learning to welcome new siblings, now with brand-new illustrations by Bella Sinclair.